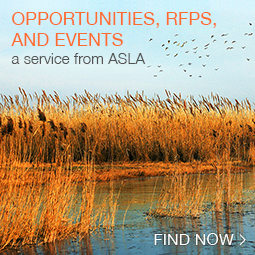 Each year, members of ASLA’s Professional Practice Networks (PPNs) are surveyed on a different theme. 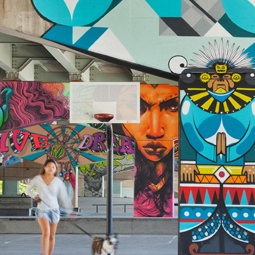 In 2013, the focus was favorite spaces, with questions on iconic spaces, cities with the best networks of open spaces, and projects that changed the profession, among others. 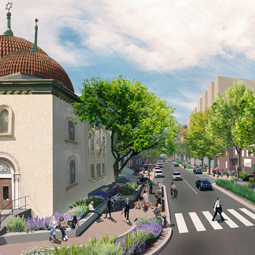 The 2014 survey focused on the variety career paths in landscape architecture. Members shared essential skills for success, the greatest challenges landscape architects face, what makes their work rewarding, and their advice for emerging professionals. 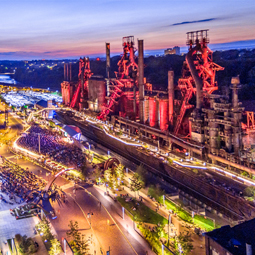 The results of those surveys have been highlighted here on The Field—now, we are moving on to the 2015 survey, when PPN members were asked to tell us about creativity and what makes for inspired designs in landscape architecture, a profession that blends art and science and requires both technical knowledge and artistry to create beautiful places. 10% of respondents practice internationally. 73% work in private practice. 43% have 20+ years of experience, and 24% have 5 years or less. 59% work in firms, agencies, or organizations of 25 or fewer employees. Synopses of the survey results were originally shared in LAND, and we are sharing that information again here on The Field. For updates on the results of the latest PPN survey, see LAND‘s PPN News section. Below are a few highlights from the 2015 results, which will be explored in greater depth in upcoming posts. This January, as part of Design & Construction Week® (DCW) in Orlando, FL, NAHB’s International Builders’ Show® (IBS) hosted their annual event that brought together more than 60,000 builders, general contractors, remodelers, designers, flooring professionals, as well as product specifiers from 100 countries. Throughout the three-day event, attendees discovered an expansive universe of products and innovative concepts designed to enhance their businesses, design thinking, and living environments. 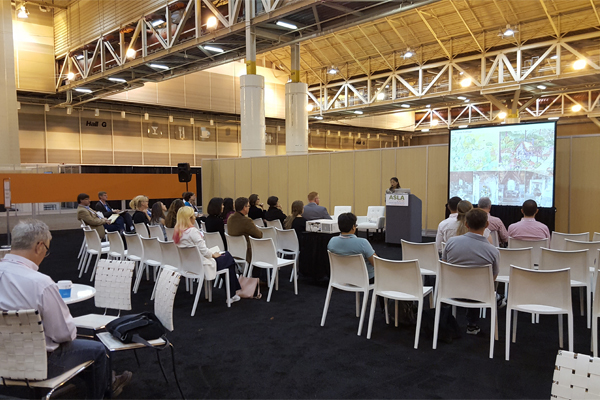 For the thirteenth year, ASLA was on hand to exhibit and advocate creating a stronger presence for landscape architecture professionals. 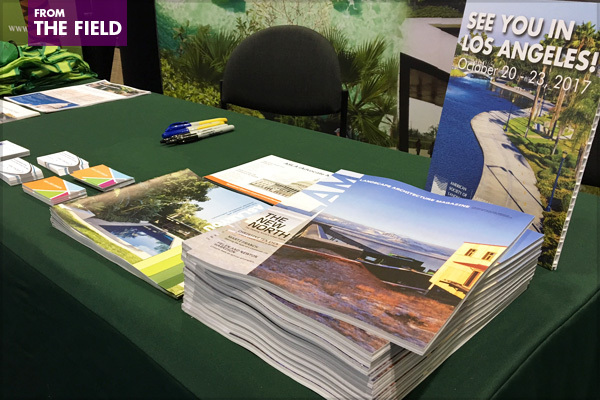 Along with our exhibit booth, we had the opportunity to work with local ASLA chapter members in Florida for ASLA’s “Ask a Landscape Architect,” which has been a tradition at the show for many years. 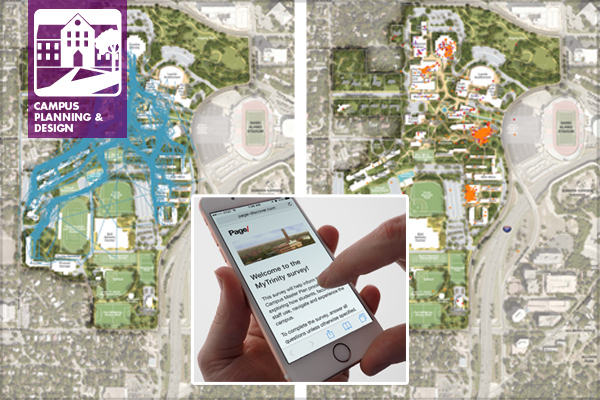 In campus planning, technology offers new ways to gather and interpret data. 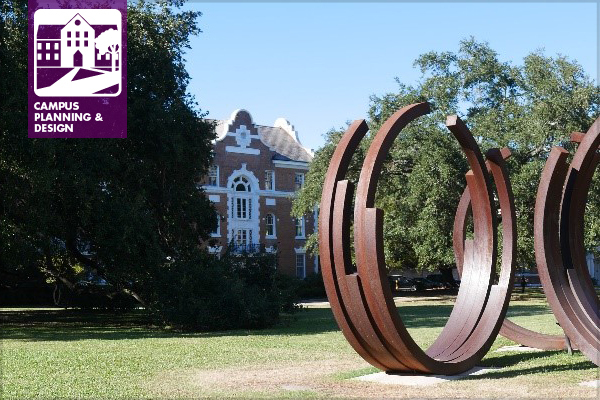 The Page discovery tool is an online survey tool developed by our office that allows students, faculty, and staff to share their favorite places to eat, study, and play as well as their preferred routes through campus. It also helps to flag areas that aren’t working for the campus and should be addressed in future planning. Technology has without a doubt transformed many of the methods and practices planners and designers use when approaching any project. This is particularly true on college campuses, as the field of education embraces technology to better serve and engage with students. However, there are some negative impacts from immersion in technology. The campus landscape provides an increasingly essential antidote to today’s tech-overload with its ability to facilitate social connection and provide restoration. In addition to functioning as repositories for history and tradition, campuses are typically places that value innovation and creativity. Thus, technology is often embraced and incorporated into campuses more quickly than many environments. Experimentation, learning, and engagement drive the integration of technology into the built environment to test how it might best serve the campus community. We are also increasingly seeing studies that indicate that excessive technology device use can have detrimental physical and mental health effects such as fatigue, stress, depression, insomnia, chronic pain, and others. See the Illinois News Bureau, Academic Earth, Time, Business Insider, The Huffington Post, USA Today, Harvard Health Publications, and Psychology Today for a few examples. 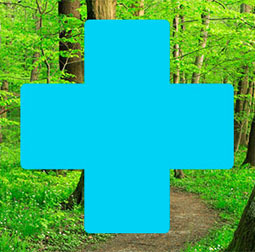 Studies have also suggested that spending time engaging with the natural environment provides an array of benefits that may counteract the negative impacts of technology use, including improved physical fitness, vision, concentration, critical thinking, creativity, academic performance, mood, immunity, and social behavior. A couple of years ago I attended this conference as a speaker to discuss the developmental needs of children in play environments. I went into the conference as an instructor but quickly became the pupil. All of the attendees were professionals dedicated to play and children’s outdoor environments, who have, and are, doing great things. This three-day conference is a great experience for anyone involved with design and management of outdoor play environments. The US Play Coalition invites you to attend the 2017 Conference on the Value of Play: Where Design Meets Play, April 2-5 at Clemson University in Clemson, South Carolina. The annual Conference on the Value of Play brings together leading play researchers, park and recreation professionals, educators, health scientists, landscape architects, designers, planners, business and community leaders, psychologists, physicians and parents from across the country. The three-day event includes keynote and featured speakers, play institutes, PLAYtalks, research symposium, educational sessions, roundtables, grant opportunities, networking, and opportunities for play. 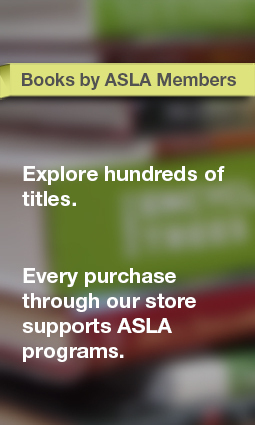 LA CES credits also available! We have already announced some incredible headliners for 2017 Conference on the Value of Play. Innovative Play Space Designer Matthew Urbanski, ASLA, will be a keynote speaker, sharing his lessons learned from designing play spaces. James Siegal, CEO of KaBOOM!, and Kimberly S. Clay, Founder & Executive Director, Play Like A Girl!®, are among our PLAYtalk presenters (our version of TED talks). There are more speaker announcements to come…not to mention the dozens of educational session and research symposium presenters! 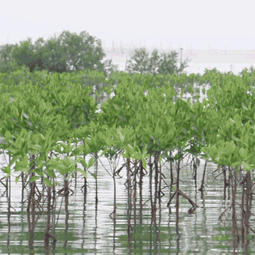 The 2016 ASLA Annual Meeting and EXPO in New Orleans feels like ages ago—and the Call for Presentations for 2017 is already well underway—but for those of us who have been hit with winter snow storms (pretty much every state except Florida), reminiscing about the warm southern hospitality of the Big Easy may be welcome. This year, the Campus Planning & Design Professional Practice Network (PPN) partnered with the Education & Practice PPN for a joint meeting featuring several PechaKucha-style presentations and discussion on the topic of How has technology changed the nature of the university campus? In addition to some thought-provoking presentations, I found this PPN Live session on the EXPO floor’s City Park Stage to be an improvement over the settings of previous years. We will be posting several of these presentations on our PPN webpage, and will share more detailed presentation summaries here on The Field in the coming months. 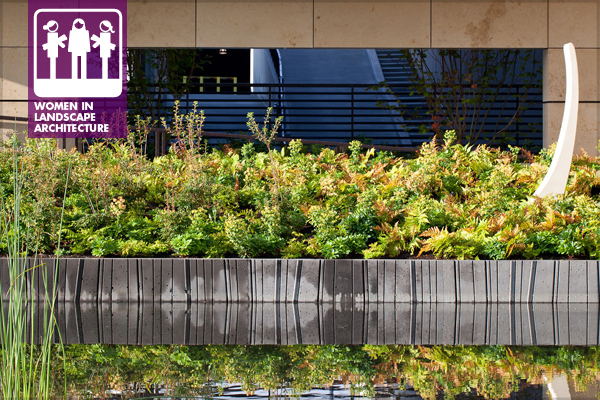 The call for nominations is open for the 2017 ASLA Honors. 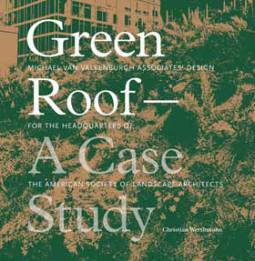 These prestigious awards recognize individuals and organizations for their lifetime achievements and notable contributions to the profession of landscape architecture. 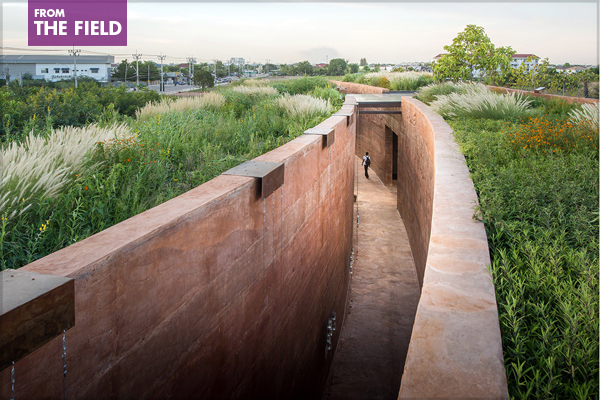 One of the ASLA Honors is the Landscape Architecture Firm Award, the highest honor that the American Society of Landscape Architects may bestow on a landscape architecture firm. ASLA would like to increase the number of nominations received for firms with female founders and principals. 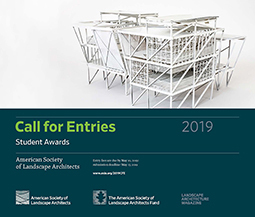 Nominations may be made by an ASLA professional member or an ASLA chapter. Many nominations are submitted by the firm’s principal. Please consider having your firm nominated. The deadline for all nominations is Friday, January 20, 2017. Dangerous by Design 2016 was released today by advocacy group Smart Growth America in collaboration with AARP, the American Society of Landscape Architects, and Nelson\Nygaard Consulting Associated. 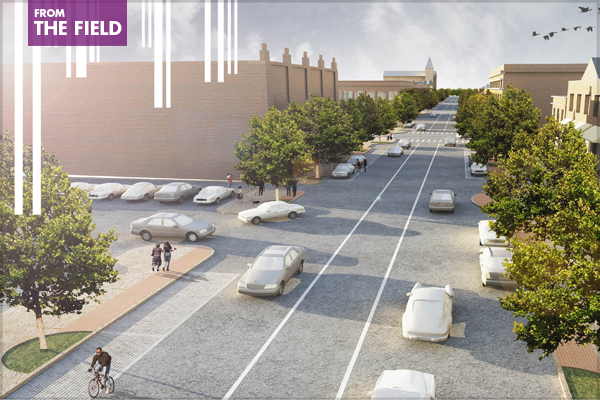 The new report identifies the most dangerous places in the nation to be a pedestrian, and how state and local policies that address transportation planning and design can help address this critical issue. The 2016 edition includes new Pedestrian Danger Index (PDI) numbers for all 50 states and the District of Columbia, and an expanded examination of metro areas from 51 to 104 regions around the country. In addition to the report, which is available to download, Smart Growth America has also released two interactive maps that explore pedestrian fatality data in greater detail, using data from the National Highway Transportation Safety Administration’s Fatality Analysis Reporting System. 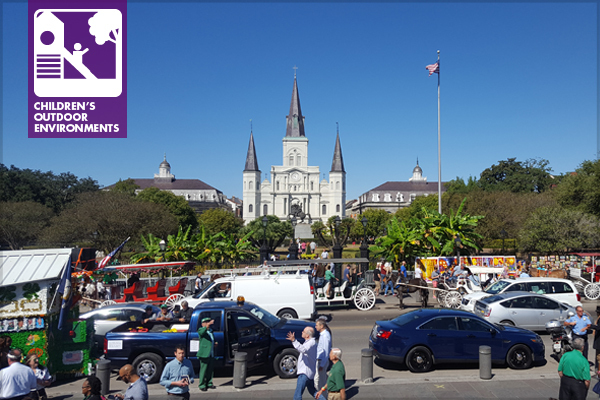 It was another great year for the Children’s Outdoor Environments Professional Practice Network (PPN) at the ASLA Annual Meeting in New Orleans with a special guest speaker as the keynote of the PPN meeting. The meeting started with a short summary of the year for the PPN, including ten blog posts on The Field and four Online Learning webinars providing content on engaging youth in place making and integrating sensory processing disorders with outdoor play environments. The PPN LinkedIn group has continued to grow over the past year and now includes more than 800 members. Chad Kennedy, PLA, ASLA, CPSI, LEED AP BD+C, transitioned from current to past co-chair with the announcement that Brenna Castro, PLA, ASLA, CPSI, is the incoming co-chair and will guide the leadership team with current co-chair Amy Wagenfeld, PhD, Affiliate ASLA, OTR/L, SCEM, CAPS, FAOTA. 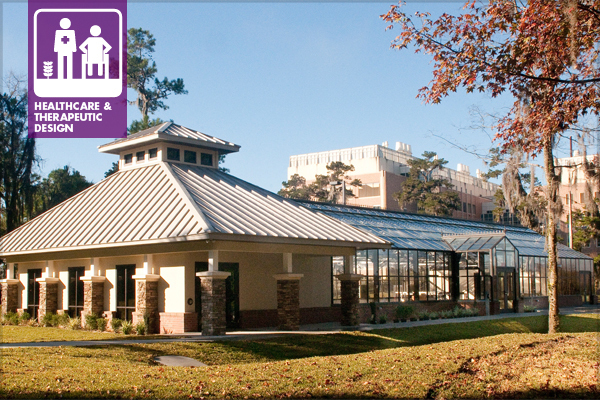 Our second in the series of interviews takes us to the College of Medicine Healing Gardens and Teaching Laboratory at the University of Florida Medical School. Leah Diehl is a landscape architect and registered horticultural therapist who is responsible for building an amazing series of programs at Wilmot Gardens at the University of Florida. Wilmot Gardens, on the University of Florida campus, is located in the heart of the Southeast’s largest academic health center. The gardens are dedicated to advancing patient care, research, and service through its vibrant and growing therapeutic horticulture program. The Therapeutic Horticulture Program at Wilmot Gardens resides at the core of the garden’s mission to improve lives through gardening. As a side note, the gardens are open to the public year-round and boast an unrivaled collection of camellias in North Central Florida. Wilmot Gardens is named for Royal James Wilmot, who was a horticulturist with the Agricultural Experiment Station at UF in the 1940s. He founded the American Camellia Society in Gainesville. Throughout these interviews, we are reaching out to landscape architects who have been instrumental in leading the design and development of Healthcare and Therapeutic Gardens. We would like people to know more about the leaders in the field of Healthcare and Therapeutic Garden design in order to illustrate the greater relevance of this field. The following interview with Leah was conducted by Jack Carman, FASLA, past chair and current officer of the Healthcare & Therapeutic Design Professional Practice Network (PPN). Leah was reached by phone between therapeutic horticulture sessions.